Two cops escorted a woman with her hands bound behind her back. Flashes went off as cameras took pictures of the 6’2, skinny, dark-eyed criminal. The reporters standing at the scene asked questions. The scene cut off. A woman and man dressed in suits behind a desk came into view on the television. “It turns out the criminal known as, Soul Eater, who had captured women and burning them in ritualistic killings, is, in fact, a woman herself. As of yet, there is no explanation for her motivations–” Tanaka shut off the television. It had been a few weeks since Zara went to the Rosario facility. The date of her release was still undetermined. Izzy was sitting at the armchair one of her legs folded up casually. They had watched the television in 2D just to catch the news. Tanaka stood, “I had a feeling. Are you going to come with me to the meeting?” He held out his hand and Izzy took it. She stood and immediately released his hand. The touch felt odd to her. Rarely did they ever come into physical contact. In a way, she felt almost like she was touching a part of Zara. Tanaka turned without a second glance and she followed him out of the house. They walked to the docking station to catch a car to the Food Tier. They were going to have dinner with Ryan. Zara’s psychologist, Ms. Biswani asked every session whether she was up to it. Eye Movement Desensitization Reprocessing, or EMDR, was a way of forcing the brain to process traumatic memories. When Zara went through her trauma she dissociated and her memories did not go through her brain the way they normally would. That’s why the emotions, sensations, and visions of the memory were so strong and could come back with no warning. By using EMDR, Zara had to relive the emotions, feelings, and sensations of her trauma to force her brain to process the memory, which was done by stimulating both sides of her brain. Ms. Biswani would ask her to tap her feet in time while listening to a specific set of tones to carry out the process. EMDR was exceedingly exhausting on Zara’s body and mind. However, she never denied a session because she wanted to get out of the Rosario facility and prevent anyone else from suffering at the hands of that monster. Although there were times she simply crawled into the fetal position unable to do anything at all. A part of her argued she didn’t have to do a thing. She could go back to her life and completely restart it, pursue a different career. Zara would be more than justified to do so, but then could she trust anyone else to do what was necessary? Who would take her place? Ms. Biswani prompted Zara to think about a certain set of vulnerable emotions and memories to process. Zara’s body shook in pain as she processed the scene she picked. She could feel the pain of her wounds and the overarching terror. Zara tried to maintain her breathing and the rhythm of her tapping movements. As the highly charged sensations and memories passed through her body and mind she began to feel them flow away. 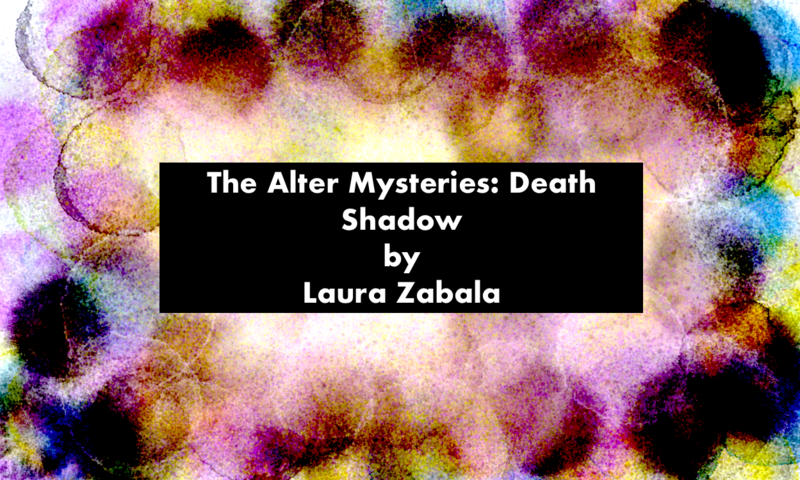 For now, she could power through the scene and process that particular set of feelings: guilt, helplessness, and physical pain; however, once Zara finished her session more memories and emotions would crop up. She would be apt to have more panic attacks. Zara would be sensitive. Not that she wasn’t already struck by terror at random. Zara also had night terrors that made her body sweat. When she woke sometimes she was out of breath and barely able to move. Her body lost the majority of its energy even now with the process. By the time she was done she would barely be able to walk back to her room. Ryan sat drinking a hot chocolate with whipped cream. He had a bagel with cream cheese toasted to pair with it and some scrambled eggs. So what it wasn’t breakfast-time? That’s what Jersey diners were for. It was 11 pm when Tanaka and Izzy ambled in. Izzy walked behind Tanaka and Tanaka didn’t offer for her to sit first like he would with Zara. He simply shoved in and Izzy ended up sitting opposite Ryan at the booth. Ryan recalled the one other time he met her, Tanaka waited for her to sit too, but that was when Zara was around. It didn’t sit right with Ryan, a lady should sit first, it was a tradition in his family. Granted, there were plenty of gender types that weren’t in common nomenclature when the tradition started. Maybe he should let tradition go, it just didn’t fit in the world anymore. “Ryan,” they said in unison. They awkwardly looked at one another before grabbing the menus the server left for them. Diners were such a sensation with real cooks and servers like the old days before technology took over everything. The fact that the job even existed at all was because the cook wanted to cook with real people to work with. The servers wanted to be there and he paid them so they did not need tips. The price to eat out at a place with real humans serving was not as high as one would expect given the novelty. People also liked the novelty of giving tips. “To think some of these people might make more than me in my government-funded job.” Ryan was a cop because that was the only job he wanted to do. Besides, it was a way of protecting his wife and child. Tanaka watched the server approach, she wore an apron with a pocket. She pulled out a pad and pen, such materials were costly and part of the mystique of the diner. Zara would love this place. “What’ll it be?” The server said, leaning back on one leg. Her lipstick dark, she was chewing gum. “I’ll have a hot chocolate and pancakes,” Izzy folded her menu and put at the end of the table. The server faced Tanaka and Izzy looked as well. Tanaka put his menu down, “I’ll have the fish with rice and vegetables. And a hot tea to drink.” He cringed knowing the tea would come in a packet and most likely be microwaved, but he also knew he didn’t feel like having an iced drink. “I’ll be right back with your drinks.” The server left, the smell of menthol lingered. Smoking was an unhealthy habit that was not outlawed though largely frowned upon. Tanaka ignored the smell though Ryan noted that Izzy crinkled her nose. Ryan nodded and put a napkin to his mouth before setting it down on the table. “Yes,” Izzy’s eyes were troubled. Tanaka looked at her his eyes concerned, but he didn’t move to comfort her. Once the file was uploaded to Ryan’s flimsy, Tanaka put his hand on the table. Ryan sighed and looked down. The server arrived with Izzy and Tanaka’s food and set it down quickly. “No, we’re fine,” Tanaka said. Izzy immediately started eating her food. Screams from outside the diner could be heard. Ryan motioned for Tanaka and Izzy to remain seated. A bar next door had a group outside yelling. “Paranormals kill our women and dare to breathe our air!” A single rage-filled man was yelling. A man was crumpled on the ground and the woman with him was too. People threw their drinks at them. The people who he saw attack the victims, and the speaker inciting violence all had their flimsies active. Ryan tethered their flimsies to his own to report the incident. Even if they ran away the cops would track them down. If he needed he could send an electric shock through their devices. So everyone carefully put their hands up and turned. The people on the ground stood carefully. They would be expected to make a statement about the incident. “For your information,” Ryan said addressing the disgruntled drunks, “all of the victims were paranormal, not standards.” The onlookers made hushed sounds of surprise. Apparently, the news had left that detail out. Izzy explained everything that was happening outside to Tanaka because she had seen it already. “It looks like we have another problem on our hands,” he said, exasperated. They would have to set extra security measures for the Paranormal Investigation Task-Force and home. Violence was not above people even in this century. I can’t say what I am feeling– the drugs blacked out that part of me. Broken, my feeling-self is huddled somewhere beneath chemicals and apathy. After the most recent panic attack, which left me almost bedridden for a day – I decided being tranquilized was better than rejecting my medicine. The nurses and my counselor asked if I wanted to take visitors yet – my answer is still ‘no.’ I am the only patient who is rejecting visitors. I do not want them to know me as the broken vessel I have become. I know the business will survive without me. A small part of me hopes it will fail. I don’t want to see the “monster” again. By monster, I don’t mean literal and I haven’t reduced my attacker to some nightmare. I know he is very much human. What I mean is, I have known that place where free will dies and my body is no longer mine. Any person or practice that can impart the knowledge of that helplessness and savor it – in my opinion, is a monster. My agency hunted people who stole, did wrong, ran way, committed crimes of abuse, but this person who takes everything. This person who would damage a body so, and can kill without remorse such as I have known, within inches of death after hours of torture– well, I had thought comfortably I would not face such a monster among paranormals. We a people, very much discriminated against have that sense of powerlessness, but to meet one of my own who would torture me in such a way. Well, I can say, such an experience was beyond my understanding before now– as it would be to anyone who has not known the weakness of flesh so intimately. When you have no way to defend, protect or stand up, but someone else holds all the access to your most vulnerable self– violently taken, there is no return from that place to who you were before that moment. It is hard for me to hide in my skin now. I can’t bear to live in this body so violated. My consciousness hangs just outside of myself watching– wishing this body weren’t mine. I can’t face Tanaka and Izzy, let alone myself. Zara stood on the cold tile floor. She wore no socks against the nurse’s wishes. She huddled against a wall where a shadow was cast just out of sight. A smile on her face, claiming her feet in this act of rebellion. Yet, Zara felt safe in her small, no privacy world. Maybe she should stay where reality couldn’t eat her.